Children who study the language and culture of their immigrant parents may achieve more and become more involved citizens, according to research. A pilot study of 5,000 children attending community classes in Leicester suggests the ad hoc system strengthens communities and reinforces the importance of education in the minds of the young. Complementary schools organised by immigrant communities try to ensure British-born children retain a sense of their heritage. But the findings of an initial study by Birmingham and Leicester universities into Asian, Polish and Irish communities suggested the value to wider society could be greater than appreciated. In the study, the team looked at the experiences of children and adults attending some 70 community-led classes in Leicester, one of the most ethnically diverse cities in the UK. The activities ranged from religious teaching for Hindus, Sikhs and Muslims, to after-school homework groups emphasising languages such as India's Gujarati. The team found that keeping up a language such as Gujarati, predominantly spoken in the home, could improve a student's performance because it gave them a greater understanding and more subtle use of language and communication. Arvind Bhatt, one of the authors of the report, said they found benefits for the student and the community which remained invisible to the majority of society. "When a student properly learns and uses their mother tongue, they are also learning how to manage bilingualism," said Mr Bhatt. "This means being able to manage language in different contexts to their benefit." 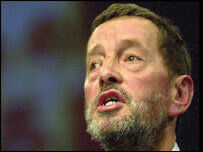 The study's findings contradict last year's controversial comments on language by the UK Home Secretary, David Blunkett. He suggested British Asians should speak more English at home to "overcome the schizophrenia which bedevils generational relationships". But Mr Bhatt said: "David Blunkett's view was based on the false premise that children can only learn one language at a time and learning a mother tongue interferes with English. "We found bilingualism in children was an asset in the long term, though there is evidence it can cause some short-term difficulties." Looking at how class participants saw themselves, the team found students had a more settled sense of their own identity. "Today's children want a flexible identity," said Mr Bhatt. "They don't want to be pinned down as either Asian or British. "They want to be able to negotiate these identities depending on the context they find themselves in. "This works to the benefit of their own position as citizens and the cohesion of the community." This settling of identity questions also helped close the generational gap between now-elderly immigrants and their British-born descendents. "What we tend to see is that the first generation keep their heads down and try to survive and the second want to consolidate on what their parents achieved [in having a stake in society]," said Mr Bhatt. "We found evidence that the third generation uses complementary learning to reclaim identity and heritage which brings the age groups together. "We are now seeing members of the second generation - parents in their 30s - going to the same complementary schooling as their children because they want to learn more." Is language key to ethnic integration?